Tangiers International, which provides ground-support to insurance companies in some of the worlds most remote or dangerous regions, has been formally recognised for its commitment to social responsibility at a global level. 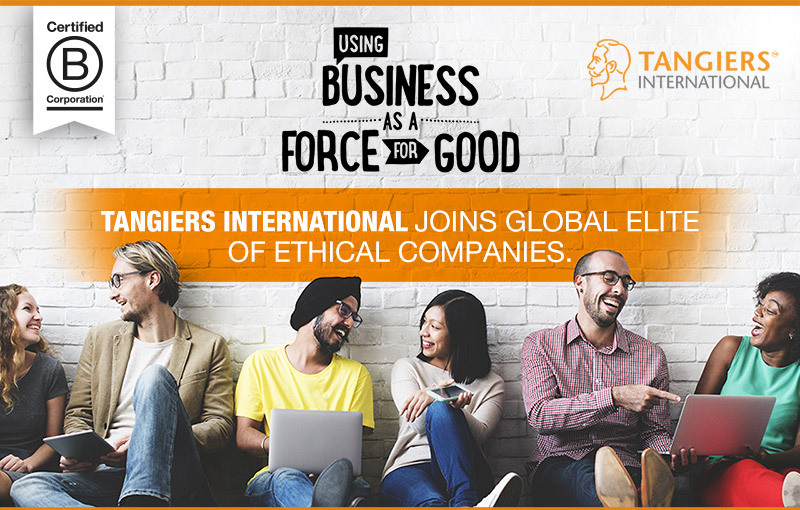 The company, part of Tangiers Group, has been certified as a “B Corporation”, meaning its adherence to strict ethical guidelines places it among a select few businesses worldwide. Certified B Corps, as eligible companies are known, meet higher standards of social and environmental performance, transparency and accountability. There are over 1,600 Certified B (which stands for “Benefit”) Corps, across more than 120 industries, in 42 countries – but Tangiers International also holds the proud distinction of being the very first Maltese company to receive the honour. The certification, awarded by global non-profit B Lab, encourages businesses to not only be the best in the world, but the best for the world. Managing director of Tangiers International Jane Hegeler said: “Ever since our inception we’ve been positively impacting the world around us by getting involved in local communities and making a difference in the lives of many as well as our corporate impact on environmental and social issues. “We believe that everyone is responsible, no matter how big or small. “As leaders in our industry, we want to set an example of how to stay competitive and successful in an ethical and responsible manner. Tangiers International works with more than 100 local nationals in some of the poorest and politically volatile regions on earth. These include Iraq, Afghanistan and across the Middle East; Sudan, Sierra Leone and across Sub-Saharan Africa and at dozens of other hot-spots worldwide. These local agents locate the most appropriate hospitals, translate documents, organise travel plans, handle logistics and liaise with local government officials to expedite medical treatment, medical claims and investigations. By understanding local bureaucracies, cultural differences, languages and political sensitivities, the teams facilitate access to quality healthcare at appropriate and contained costs. As well as the benefits to Tangiers International and its clients of this unparalleled local knowledge and expertise, the commitment to a local workforce has a multitude of positive outcomes for local communities. These include much-needed employment, investment in people, career support and a network of supportive staff based both at the company’s headquarters in Malta and around the world. The company also displays its ethical credentials a lot closer to home, striving to create a family-like atmosphere at its headquarters in Malta, where employees from around the world enthusiastically get onboard with the company’s ethos. Recent team-building events have included litter-picks among the stunning hills of the Mediterranean island, which netted some 15 bags of litter. Future events include tree planting and collecting unwanted clothes for charity. Tangiers International hopes to inspire other similar organisations to put as much focus on social responsibility as making profit. The company will proudly display the B Corp logo on its website notifying visitors that it holds itself to the highest ethical standards in how it conducts business.